Hey, that tastes good! : Whoopee Pies! My baby sister Margo is here. We have been hanging out and today we made pizzas for dinner, and whoopee pies for dessert! They were pretty quick, and pretty easy, although next time I make them I will definitely use a different filling. The chocolate cookie-cakes are not too sweet, and soft, and so good. The recipe I used had a marshmallow filling, which didn't really work for me. I would use this filling instead. From epicurious.com. Makes about 2 dozen sandwiches. Position racks in the oven on the top third and bottom third. Preheat oven to 425. 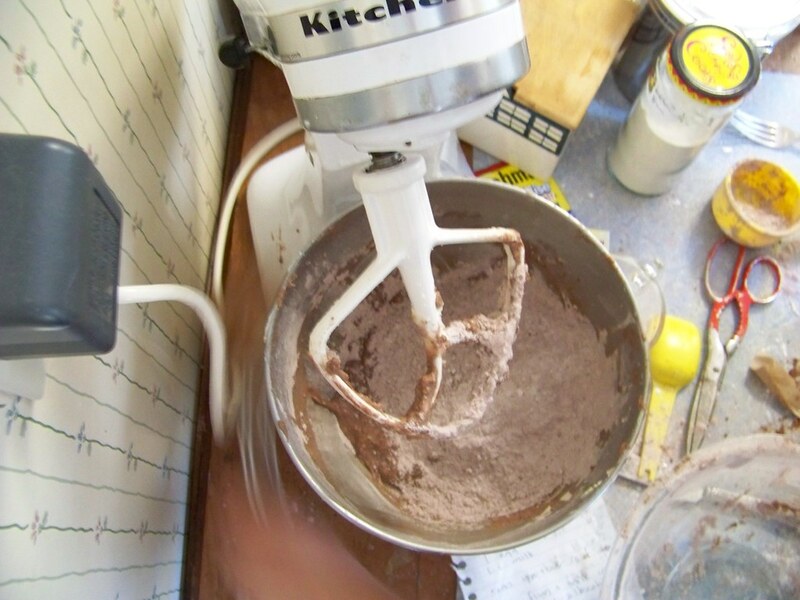 Mix rice flour mix, cocoa, baking soda, xanthan gum, and salt in a bowl. Beat butter and sugar until fluffy, then beat in egg. Add half the flour mix, then half the milk, then the rest of the flour and the rest of the milk. Drop by teaspoonfuls on a cookie sheet, preferably lined with a silpat or parchment paper. Bake 5-7 minutes, let cool for 5 minutes, remove to a rack, and repeat with the rest of the batter. Those look SO good! 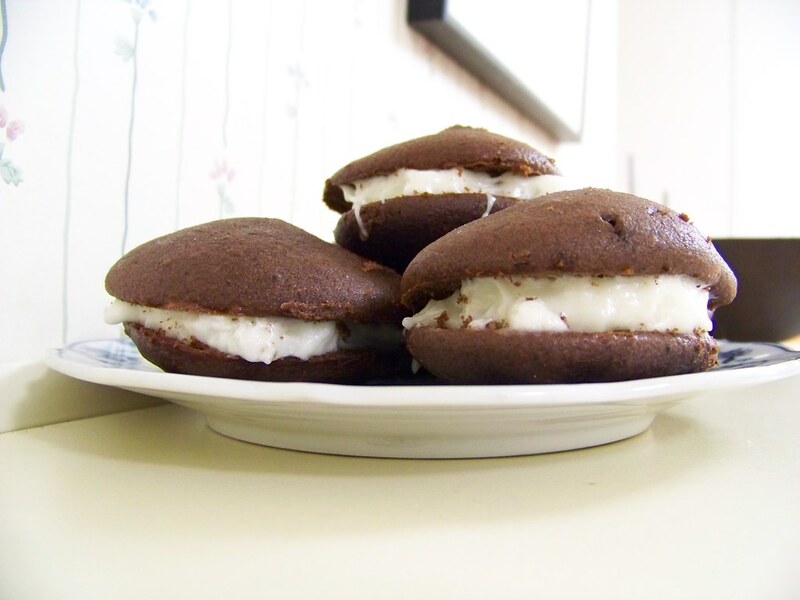 I've never had a whoopie pie, and now, unfortunately I'll never have the real thing, but way to go! Thanks! THese are pretty close to the real thing, at least from what I can remember!